Image courtesy of Eat Crave Fashion. I don’t know a single girl out there who doesn’t dream of the perfect closet space. A closet is not only about a place to get ready but also a place to display your most prized pieces. Think Carrie Bradshaw and Mr. Big’s closet. Here are some closets and vanities to make you swoon and spark your imagination. Aerin Lauder’s lovely closet. Oh and check out her z-leg desk. Love! Designer, Kelly Wearstler’s oh so organized & fab closet! My husband and I are still settling in to our new place and while the closet space isn’t horrible it’s not ideal either. As mentioned in a recent post, I barely have enough space for my things. As a clothes, shoe, and handbag girl all are competing for space. So as we continue to work on organizing and storing I can’t stop dreaming about these gorgeous closets larger than our bedroom. 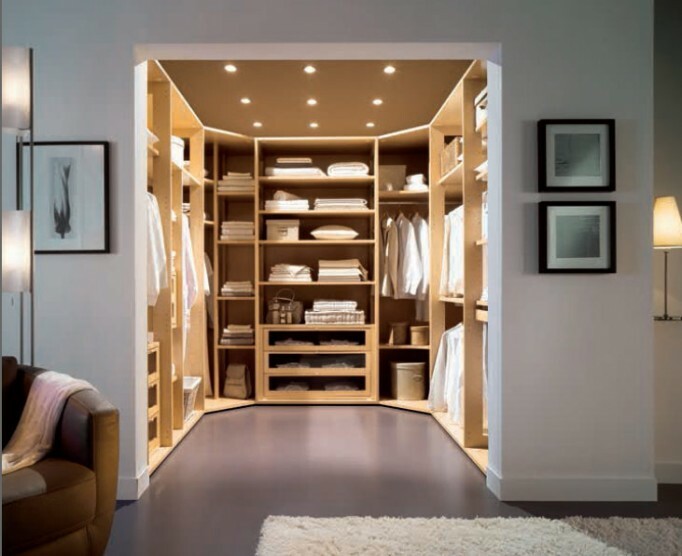 So, I’d love to hear from you which of these walk in closets would you want to have in your home?